Cloud computing — a consumer/delivery model where information technology (IT) capabilities are offered as services billed based on usage — has brought big data analysis to the masses by giving businesses access to vast amounts of computing resources on demand. As the technology continues to advance, the question for many businesses is how they can benefit from big data and how to use cloud computing to make it happen. Brian Cameron, executive director of the Center for Enterprise Architecture at Penn State’s College of Information Sciences and Technology (IST), recently delivered a keynote address at an international conference in India about the need for enterprise architecture (EA) in order to design and implement effective enterprise-wide big data and cloud computing environments. In his keynote address, Cameron contended that a lack of enterprise architecture in organizations greatly increases the likelihood of failure of enterprise-wide cloud computing and big data initiatives. Cloud computing is a model for enabling convenient, on-demand network access to a shared pool of configurable computing resources (e.g., networks, servers, storage, applications and services) that can be rapidly provisioned and released with minimal management effort or service provider interaction. The cloud model promotes availability and is composed of five essential characteristics: on-demand self-service, broad network access, resource pooling, rapid elasticity and measured service; three service models: Cloud Software as a Service (SaaS), Cloud Platform as a Service (PaaS) and Cloud Infrastructure as a Service (IaaS); and four deployment models: private cloud, community cloud, public cloud and hybrid cloud). The cloud computing model offers the promise of massive cost savings combined with increased IT agility. 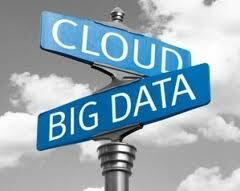 In addition, cloud computing democratizes big data – any enterprise can now work with unstructured data at a huge scale. Enterprise architecture is the process of translating business vision and strategy into effective enterprise change by creating, communicating and improving the key requirements, principles and models that describe the enterprise’s future state and enable its evolution. By integrating the various dimensions of an organization, an enterprise architect takes a company’s business strategy and defines an information technology system to support that strategy. The purpose of the Center for Enterprise Architecture, which was established in January 2011, is to gather intellectual resources across Penn State to address open and important research concerns and questions that span the design, functioning and governance of contemporary, information-driven enterprises. Through multi-disciplinary and interdisciplinary research methods, the center looks to address large-scale applications such as health care informatics, large service-based and manufacturing firms, nonprofit initiatives, federal and state government transformation and the design of homeland security agencies.